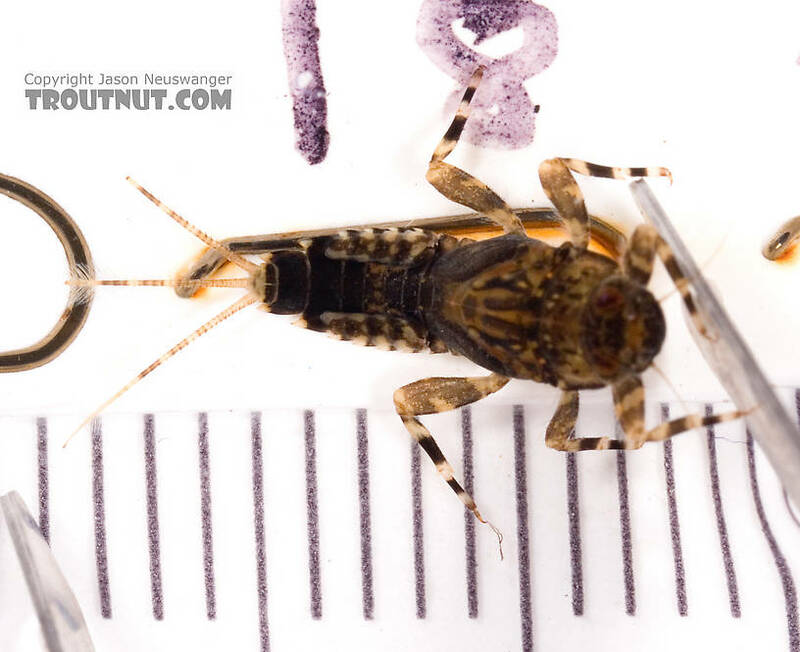 The striking coloration of this Ephemerella nymph earned it a turn under the camera lens. 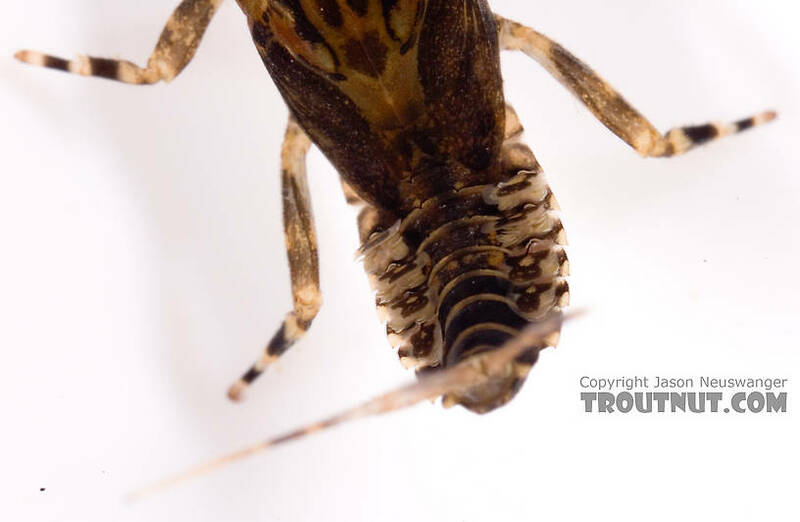 It has a different look than others I've collected, but I still might tentatively guess it belongs to the widely variable (and ironically named) invaria species. 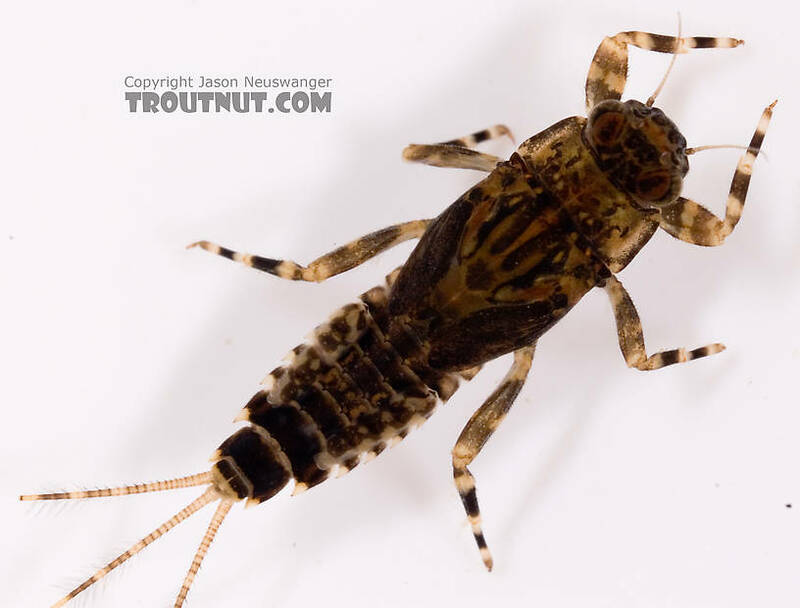 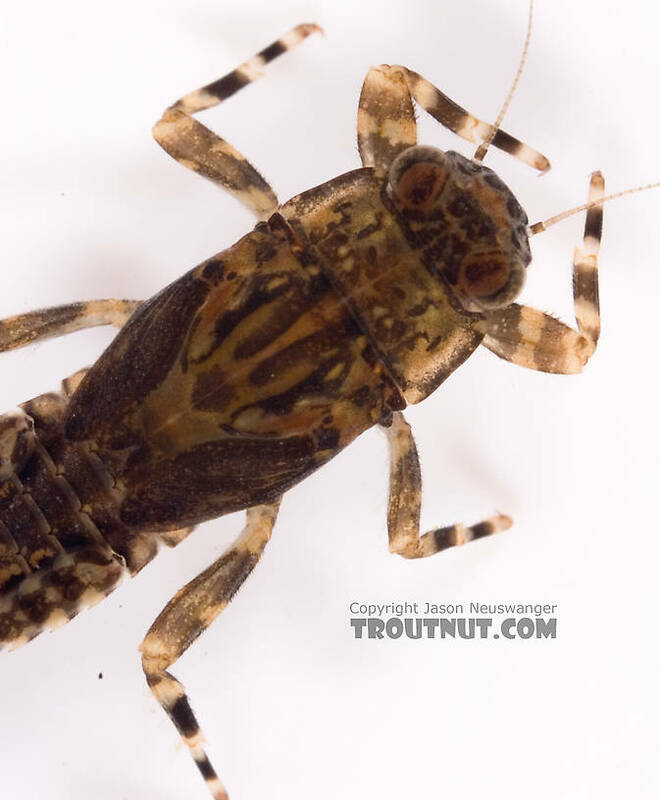 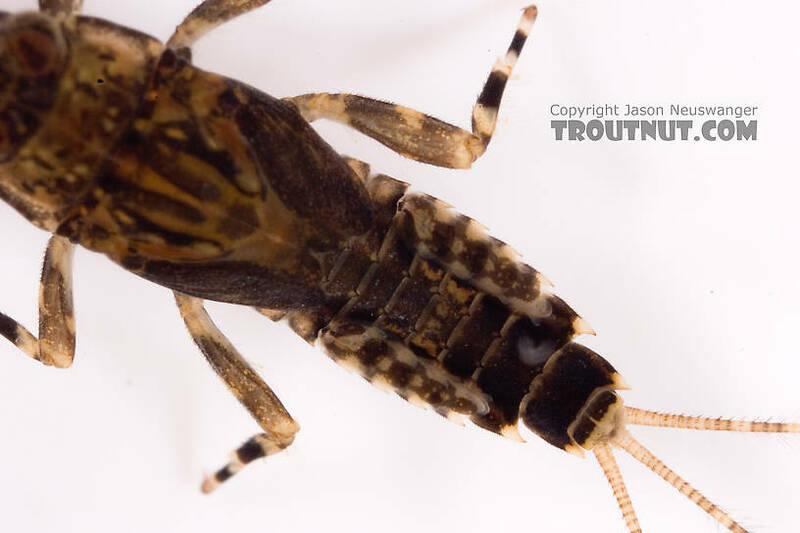 This mayfly was collected from Cayuta Creek on April 14th, 2007 and added to Troutnut.com on April 22nd, 2007.